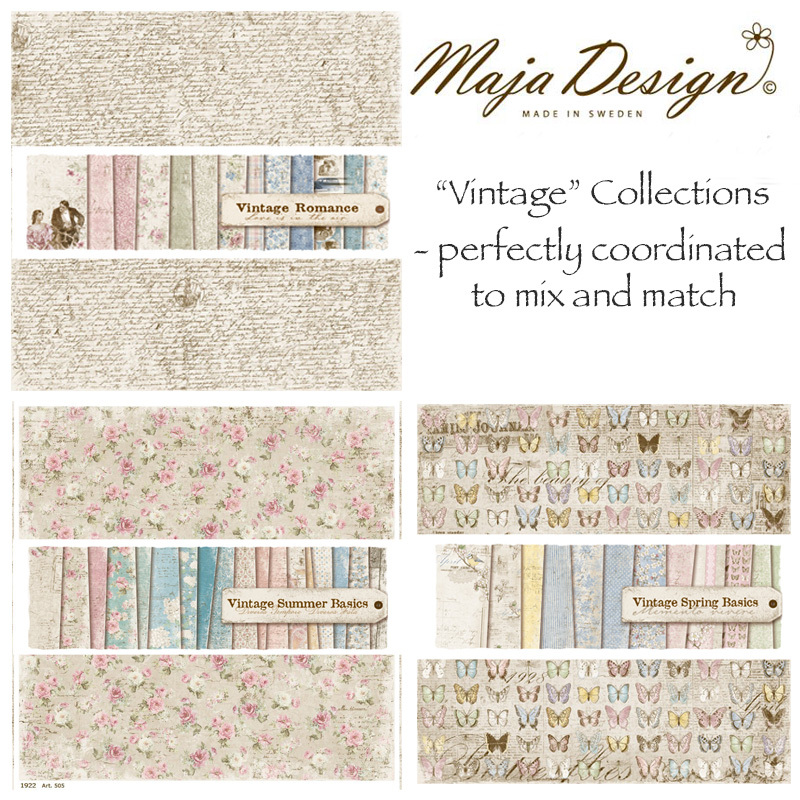 Petaloo and Maja Design have teamed up this month for a special product Spotlight. The party starts June 2nd and wraps up on June14th with prize giveaways. You won't want to miss a single day! Yes! 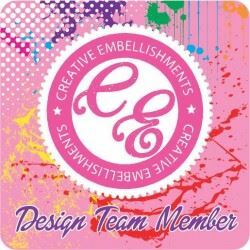 You can participate in the giveaways by joining us on FB, Pinterest, and Instagram too. 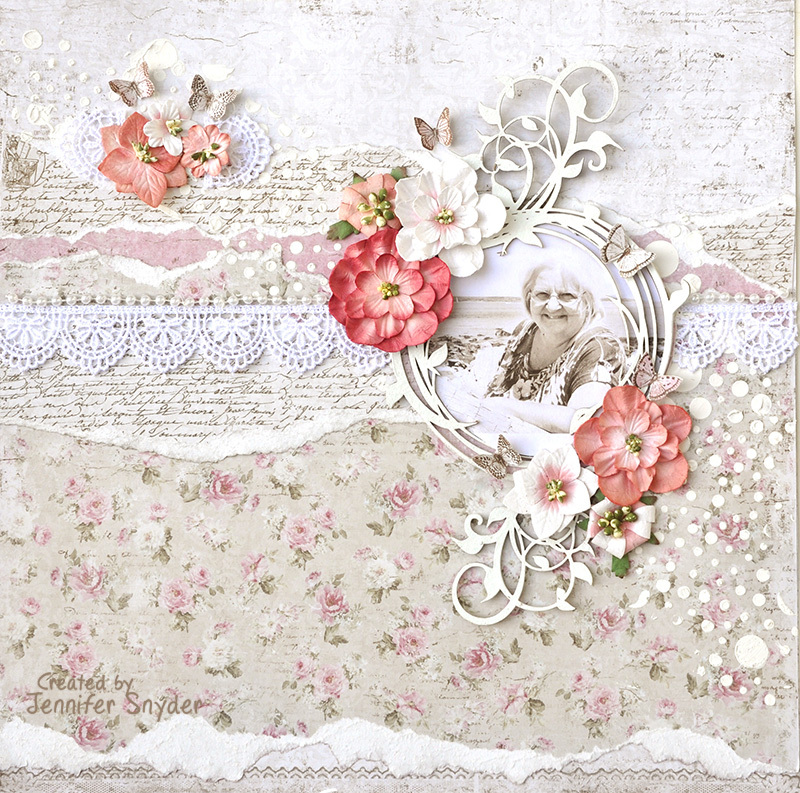 Jennifer Snyder here today to start the product Spotlight. 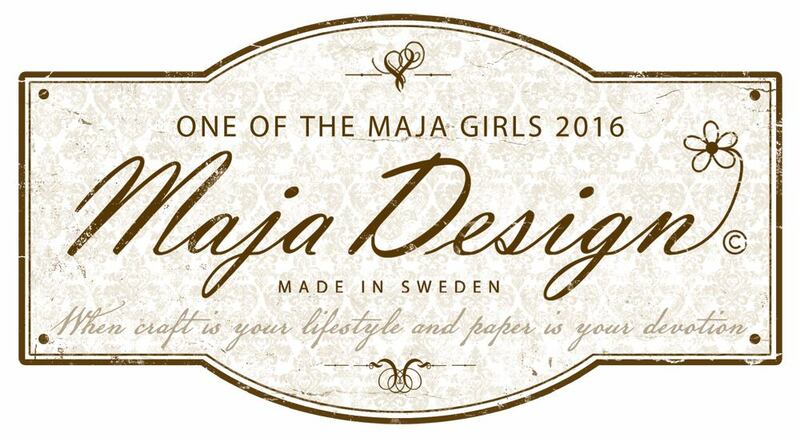 Maja Design was so kind to send us their paper all the way from Sweden. They provided each of the Design Team members with a mixture of their gorgeous "Vintage" collections, meant to mix and match :Vintage Romance, Vintage Baby, Vintage Frost Basics, Vintage Autumn Basics, Vintage Summer Basics, Vintage Spring Basics, and Vintage Winter. You can use the handy store finder link to shop for Maja Design papers. I used papers from three collections on my layout: Vintage Romance, Vintage Summer and Spring. You can see how perfectly they coordinate. 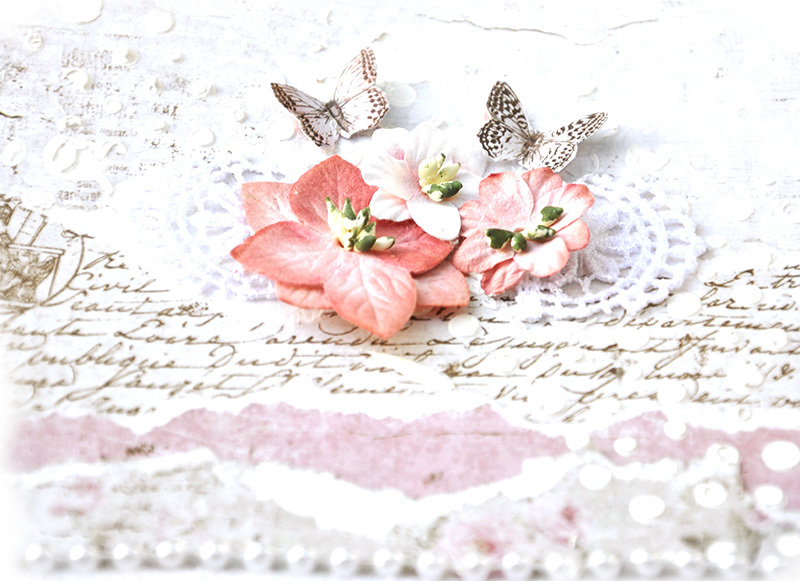 Here is a close up of the beautiful flowers and some butterflies cut from the Maja Design paper. 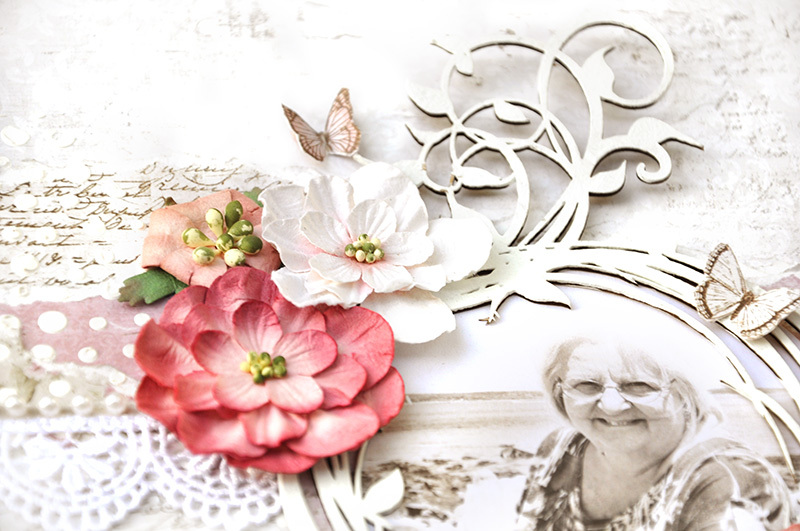 And here are a few more shots of the flowers resting atop some beautiful chipboard by Creative Embellishments. 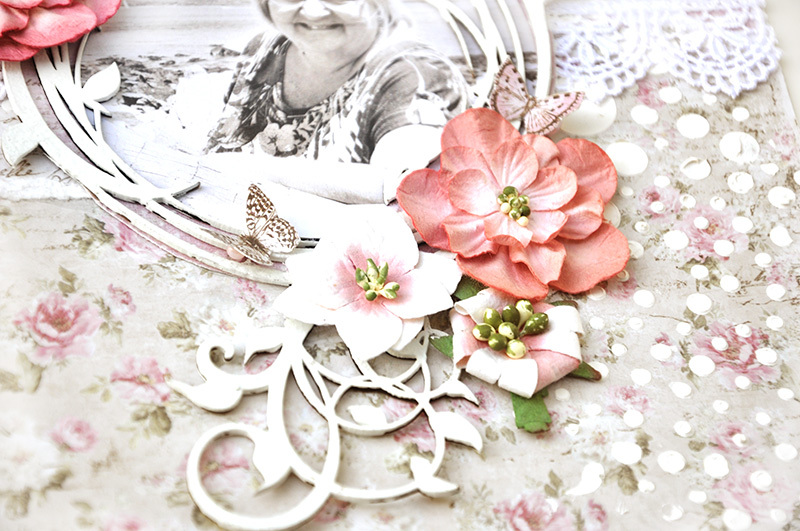 This frame is called "Leafy Vine Frame". 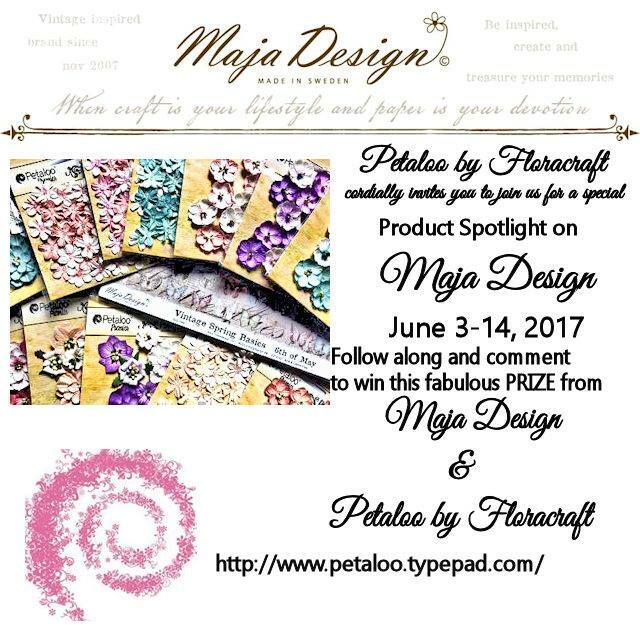 Don't forget to participate in the giveaways by joining Petaloo on FB, Pinterest, and Instagram too. Such a beautiful layout! What a treasure!! I love this LO! 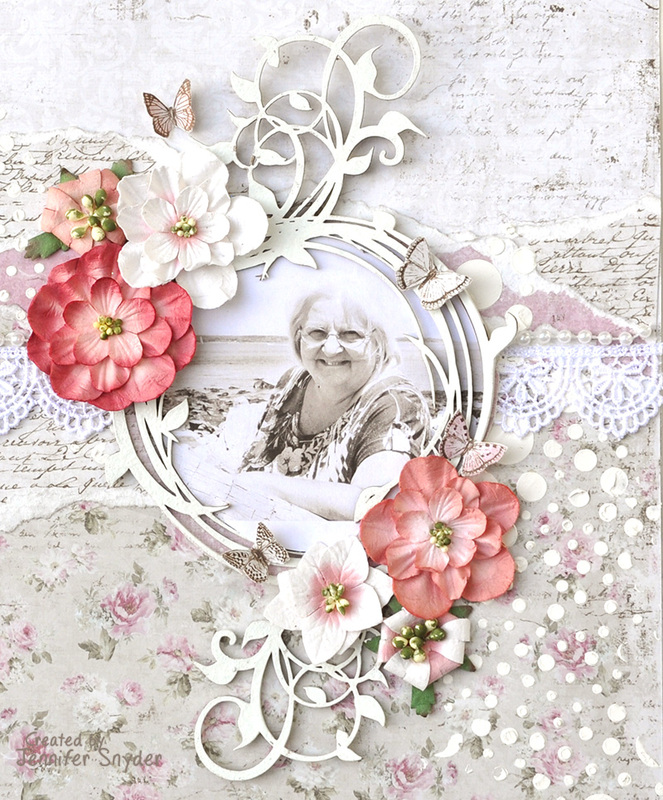 I want to scraplift! 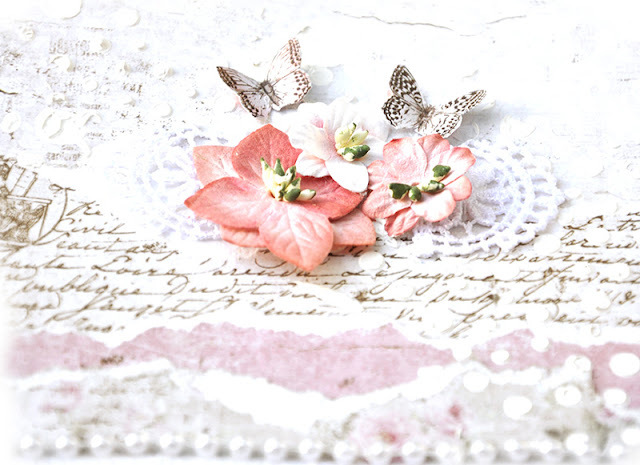 The paper and the flowers are a must have. Love all of the little details!